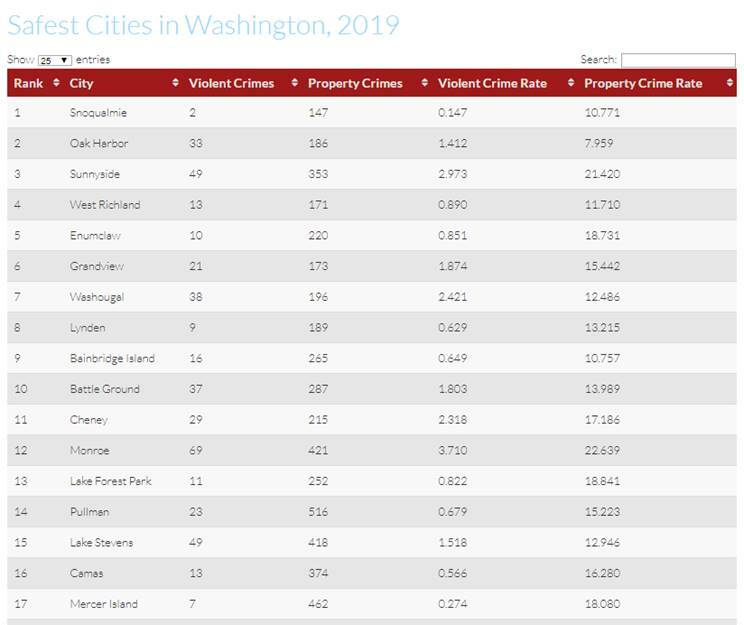 As some of you may know, the Police Department’s Vision is to ensure the City of Lake Forest Park is one of the safest cities in the Puget Sound Region, achieved through the delivery of quality law enforcement services. 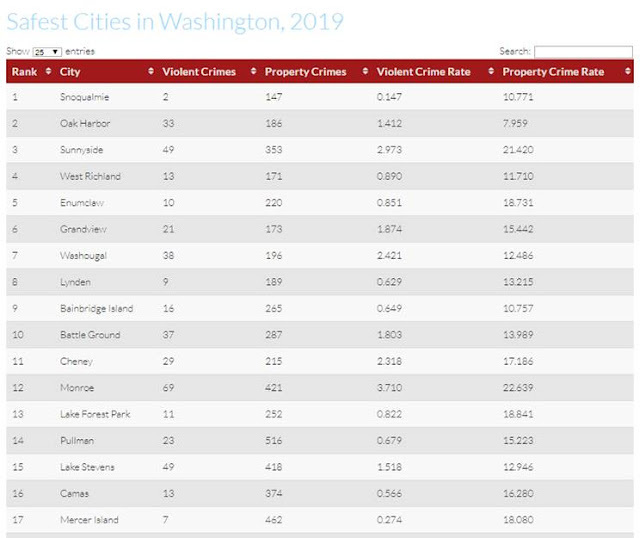 Once again, the National Council for Home Safety and Security has Lake Forest Park ranked in the top 15 in the State of Washington -- not just in the Puget Sound Region -- and third in King County behind Snoqualmie and Enumclaw. That is simply amazing given the demographics and the rankings of our neighboring cities. The Police Department’s annual operations plan has been the key to our success outlining specific performance measures, intense community outreach activities, and coordinated partnerships that has led to our success. If you would like to find out more about specific objectives in our plan, check it out on our webpage. How come Shoreline isn't on the list anywhere?